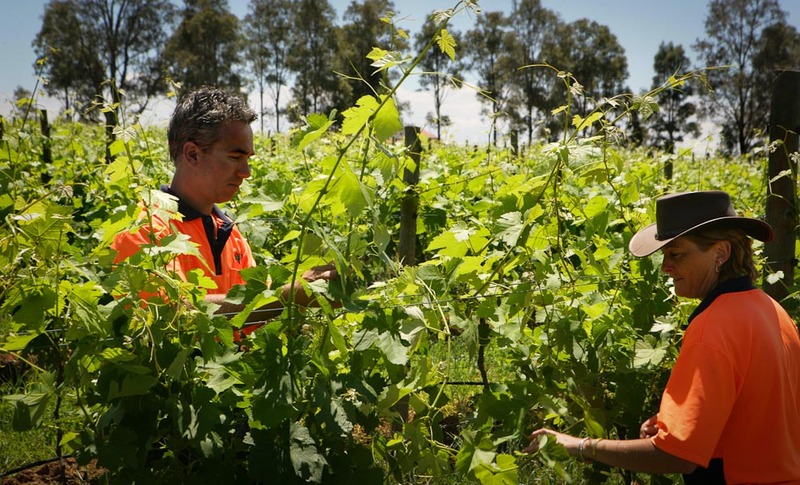 RidgeView wines are the product of a dream that Darren and Tracey Scott had after their first trip to the Hunter Valley in the early 90’s. 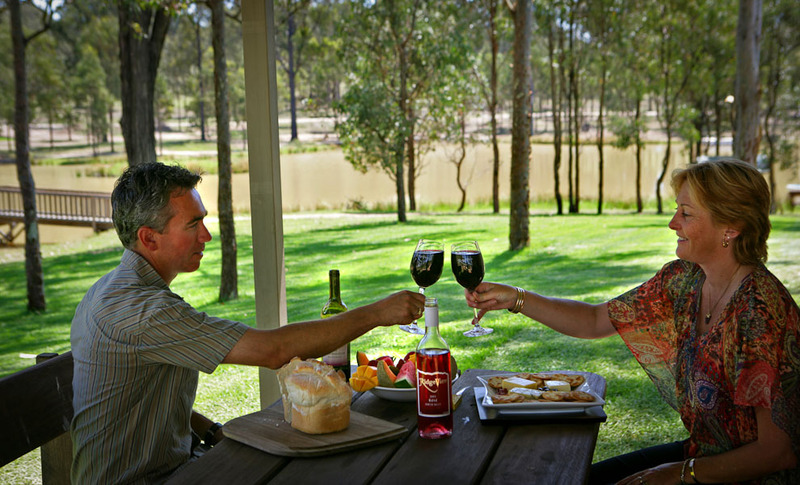 The natural beauty of the Brokenback Ranges and glorious weather that blessed the Hunter, together with the charm of the surrounding country towns and the warmth of the local people created a desire to become part of the lifestyle one day. In 2000 that dream became reality when “Ironbark Estate”, part of Sweetwater Ridge was purchased. After RidgeView Cottages were built in June 2001, a 22 acre vineyard was established following 12 months of soil preparation which included cover crops of oats and sorghum to build up the nutrients in the soil. This soil preparation has significantly enhanced the quality of the grapes we produce. The process of planting, training and pruning vines brought home the reality that this dream was a lot of hard work. The establishment of RidgeView Wines was bought to fruition in 2004 as the first grapes were hand harvested, the wines bottled and labelled. It cannot go without mention that if it wasn’t for the tireless devotion of our 4 children, Belinda, Brendan, Michelle and Kelly as well as the many family members and valued friends, RidgeView Wines would not exist today. The person that says “it can’t be done” should get out of the way of the people getting it done! Our family continues to grow with our childrens’ partners, Scott, Lauren, Thomas and David joining the RidgeView ranks. A new generation of RidgeView has also blossomed with Lachlan, Aidan, Holly and Archer now part of our growing team.